An understanding of what goes into making a device efficacious is crucial to understanding what makes the Celluma so powerful. In clearing devices such as the Celluma for sale, the FDA uses “power” as expressed in milliwatts per centimeter squared (mW/cm2) & “energy” as expressed in Joules per centimeter squared (J/cm2). Essentially, this is measuring the amount of energy being emitted by a device, at the surface of the LED, over the area of one square centimeter and then over the course of a single second of treatment. While this is a simple way to measure the technical performance of a device, it does not take into account several key variables in assessing effectiveness of the device, including the overall area of the device, the time of treatment and most importantly, the body’s ability to absorb the energy being emitted. In the case of the Celluma, these standard energy measurements do not take into account the wider spacing of LED’s to enable the Celluma to flex and form, optimizing the delivery of light energy. Spacing LED’s closer together will produce more energy emission but not necessarily a better therapeutic effect. 1. Wave Length – The Celluma PRO has a total of 345 diodes. Approximately (115) light emitting diodes that emit energy in each of the Blue (465 nm), Red (640 nm) and Infrared or IR (880 nm) portion of the light spectrum. There are several devices that do this, but they typically cost 5 to 20 times as much as the Celluma and are large rigid flat panel light arrays which cannot conform to the face & body. 2. Power Output – Again, this is the standard by which the FDA compares light energy devices such as the Celluma. The Celluma PRO delivers between 4 and 12 J/cm2 over the course of a 30 minute treatment time. These numbers vary a little depending on which mode of treatment is selected on the Celluma. This translates into a total dose of approximately 5200 to 9000 Joules for the Celluma PRO. This amount of energy delivery is intentionally lower than the devices mentioned above for the reasons explained below. 3. Delivery Distance – LED light energy is most effectively absorbed by the body when it is emitted at or very near the surface of the skin. In fact, as light emission is moved away from the skin, the body’s ability to absorb the discreet wavelengths of energy decreases dramatically to the point that about 2 to 3 inches away from the skin, absorption is negligible. This means that despite the amount of energy being emitted by the device, the body only absorbs the energy if emitted very close to the body. The key feature that differentiates the Celluma from all other light energy devices is its formability and shape-taking characteristics. The Celluma can be formed to any size of patient or area of treatment to ensure the optimal absorption of the energy being emitted by the device. In contrast, LED devices with rigid flat panel light arrays do not conform to the area of treatment, emitting energy inches from the body and minimizing the amount of energy the body actually absorbs. This is why the Celluma is a more effective device, even when it delivers lower amounts of energy. 4. Energy Delivery – The scientific research bares out that cells are much more efficient in absorbing light energy when that energy is delivered over a longer period of time and when the light is delivered in pulses rather than a constant stream of light. Again, this is where the Celluma is different from the other devices on the market. 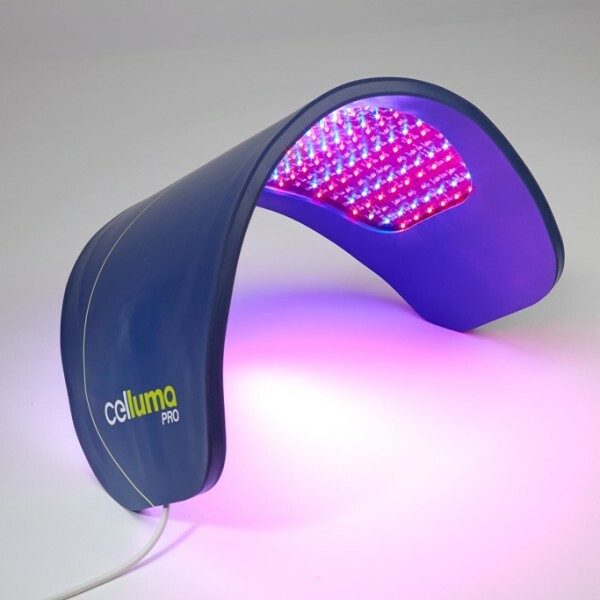 The Celluma uses very complex electronic algorithms to modulate the light energy to ensure optimal cellular absorption. The Celluma’s treatment times are also intentionally longer in duration to ensure optimal cellular absorption. Competing LED devices use higher levels of energy emission and shorter treatment times, claiming to be more efficient in energy delivery. The truth of the matter is that “slower and lower” is better. Too much energy delivered too fast just results in the non-absorption of the energy and a diminished therapeutic benefit. We recognize that it would be easier to just look at a table of energy measurements and ask which device is “more powerful”, but that would be ignoring the science of phototherapy and what it teaches us. More powerful is not necessarily more better, and to deliver the therapeutic benefits of phototherapy, LED devices need to practice the science, not just mimic the technical performance of competitors. 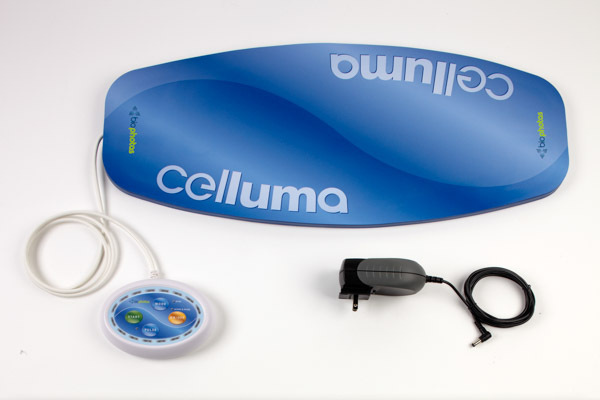 To purchase a Celluma PRO Panel for use in your treatment room, click HERE!